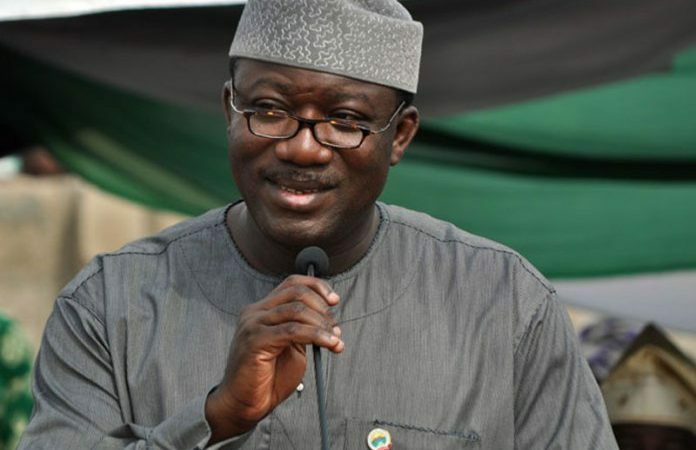 President Muhammadu Buhari has urged residents of Ekiti State to reclaim their future by voting for Dr. Kayode Fayemi in its July 14 gubernatorial election. The president said this during an address at the mega rally of the All Progressives’ Congress (APC) for the party’s candidate in Ado Ekiti, the state capital, on Tuesday, July 10, 2018. He said, “I, therefore, call on Ekiti people, don’t allow yourself to be insulted by stomach infrastructure. Your future and the future of the upcoming generations are in your own hands today. Vote for APC and grow beyond stomach infrastructure. “The time has come to correct the historical injustice and restore Ekiti State to the path of peace and prosperity. The whole country looks to Ekiti to do the right thing by voting for APC candidate in the election this Saturday, July 14, as you commence the journey to reclaiming your land and the restoring your values. “I present to you the APC gubernatorial candidate, Dr. Kayode Fayemi. Vote for him on Saturday the 14th. Dr. Fayemi served as minister of mines and steel development. He recorded a series of achievements in the Ajaokuta Steel Company and with his experience as a one-term governor of the state, a meaningful development is guaranteed. Late on Monday, July 9, 2018, the state’s governor, Ayodele Fayose, took to his Twitter account (@GovAyoFayose) to reiterate an earlier promise to compensate residents of the state who are illegally arrested by the police or Department of State Services (DSS). The governor initially made the promise after he met with Aborisade Sunday, a member of the People’s Democratic Party (PDP), who claimed that he was illegally detained by the DSS for five days. “They detained me for five days. They put chain on my hands and legs. I cannot hear through my left ear now due to the beating I received from them,” Sunday said. The governor promised him the sum of 250,000, amounting to 50,000 a night, and further promised to reward other members of the PDP in DSS custody. 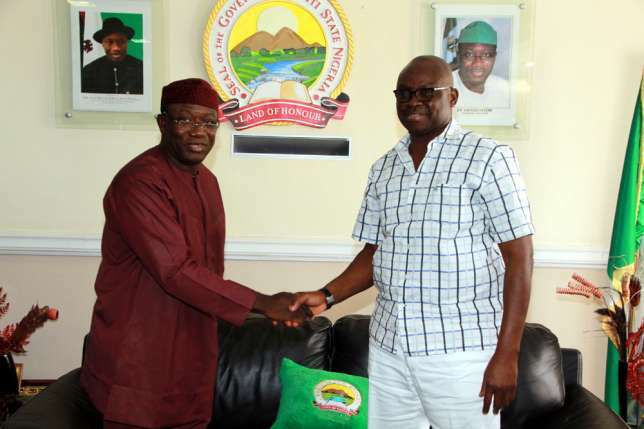 In similar vein, candidate of the All Progressives’ Congress (APC) in the July 14 election, Dr Kayode Fayemi, provided free five litres of fuel each to commercial motorcycle riders in Ado-Ekiti, the state capital, on Monday. According to a report by Vanguard, the supply was launched at Mobil Petrol Station along Ikere Road in Ajilosun with the riders forming long queues, many of them reportedly decorating their bikes with the posters of Fayemi. Fayemi was reported to have showed up to the filling station at about 10:45 am to wild jubilation from the beneficiaries of his free fuel. He told the riders that he doesn’t plan to ban commercial motorcycle operations if elected, as alleged by the PDP, promising instead to provide more incentives including soft loans, equipment, as well as to provide good roads to aid their operations. He also noted that during his first term as the state’s governor, he gave the riders’ unions N150,000 monthly allowance for logistics and running of their office, procured 280 motorcycles and 500 tricycles for them, and gave their union a brand new bus. He said his administration also celebrated Okada Riders’ Day and provided 3,000 free helmets for their use.